Lou Hornstine is a Founder and the President of Hornstine Law, LLC. Since graduating from Temple Law School in December 1976, Lou has concentrated his legal career on trial practice; specifically criminal defense, personal injury matters for the injured, and matrimonial issues. Upon graduation, Lou was hired as an associate with the law firm Hayman, Gorelick, and Groon in Wildwood, New Jersey. Within two years, Lou became a junior partner that coincided with the name change to Gorelick, Groon, and Hornstine. In 1981, Lou started his own law firm in which he was senior partner and founder. 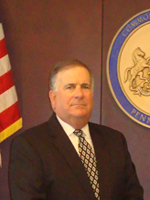 During his tenure as partner in the firm Hornstine, Stagliano, and Baldini, Lou represented a number of public entities including the County of Cape May as special litigation counsel, the City of Wildwood as Prosecutor and Zoning Board solicitor, and the City of Cape May as Public Defender. Additionally in the 1980’s, Lou served as President of the Cape May County Bar Association and board member to the Trial Lawyers Association of New Jersey. In honing his skills as a trial attorney in the mid 80’s, Lou was approved by the New Jersey Supreme Court as a certified trial attorney in civil matters – a distinction achieved by fewer than 2% of attorneys licensed in New Jersey. In 1989, Lou accepted Governor Tom Kean’s appointment as a Judge to the Superior Court of New Jersey. At the time, Lou was one of the youngest jurists in the state. During his nearly twenty years on the Bench until May 2009, Lou presided over all facets of legal matters, including major felony criminal trials, complex civil litigation, and family issues, both matrimonial and juvenile. In the early 1990′s, Lou was invited to join the faculty at The National Judicial College. During his tenure, Lou lectured judges from most every state as well as judges from many foreign countries. From 1999-2003, Lou served as a member of the College’s Faculty Council. In 1995-1996, Lou was an Adjunct Professor of Law at Widener University Law School where he lectured on New Jersey Practice. From 2000, Lou has joined the faculty at Harvard Law School for their Trial Advocacy Workshop. In this capacity, Lou assists Harvard’s law students with their trial skills from trial preparation through the actual trial. Lou is admitted to practice law in Pennsylvania, New Jersey and New York. As a retired judge, Lou personally cannot engage in the practice of law before any of the New Jersey state courts or administrative proceedings. However, he actively engages in the practice of law in all Federal Courts in New Jersey.